BELTBOX is for sale through this website and Amazon.com USA/Japan/UK. You can also purchase it in person at the Juilliard School store in New York City! Shipping varies based on your location. Best shipping rates can be found through Amazon.com (Domestic and International). UK citizens and other customers outside the USA may have to pay a "VAT" or import tax with their local government for importing goods. Please check with your local government to see if there is a tax to import goods into your country from the USA. This tax is not included in the postage price and is the customer's responsibility. Can I use BELTBOX hands-free? It weighs about 8 oz. Can I use it for snoring? While BELTBOX does dampen sound coming from the nose and mouth, for safety reasons we cannot recommend it be used while sleeping. Will I be able to hear myself while using it? Yes! 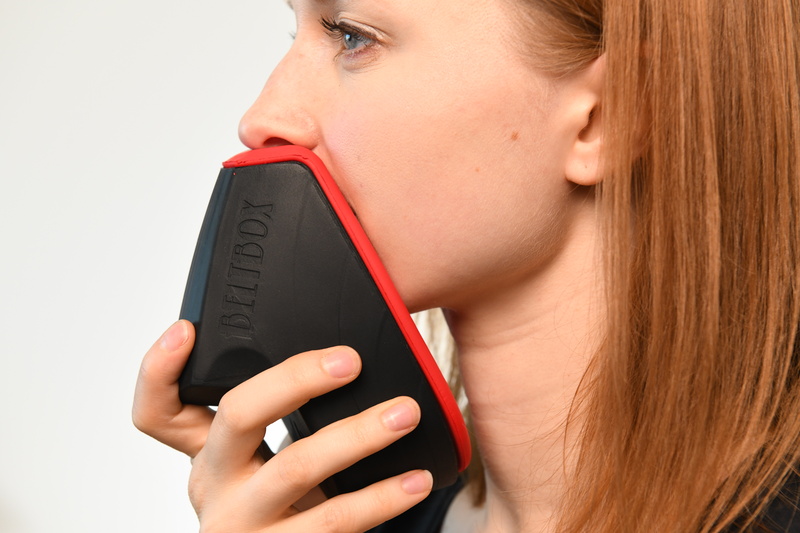 BELTBOX is designed to be dense enough to block the majority of your sound but still allow you to hear what notes you are singing. It reduces your sound by up to 30 dB to others but reflects sound back into your head where you can also hear through bone conduction! In addition to your BELTBOX, you get a cloth carrying bag and strap for hands-free use. Yes! It is waterproof for easy cleaning and for warming up in the shower! The effectiveness of your BELTBOX is determined by the seal it makes on your face, only allowing air to escape through the air holes. For people with petite faces or glasses, you can try holding the mask beneath your nose to create a better seal! Simply rinse it in the sink with warm water and antibacterial soap. DO NOT use harsh cleaners like rubbing alcohol. 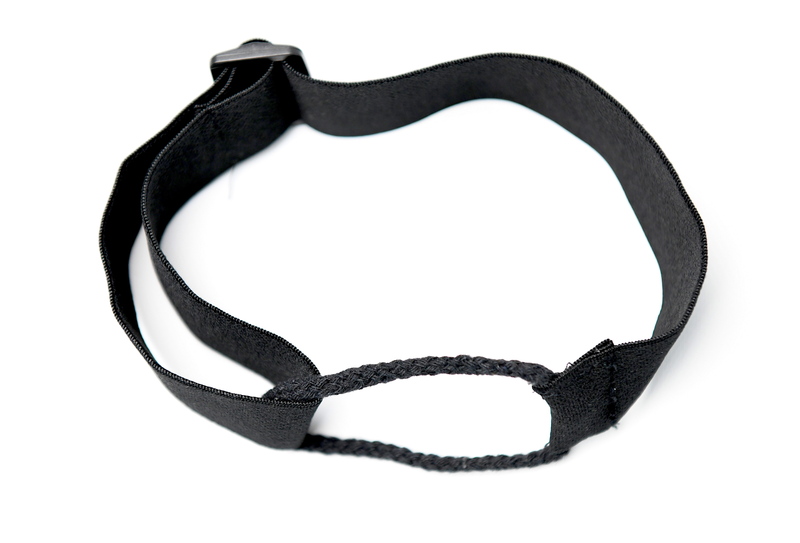 The outer layer is a silicone rubber and the inner layer is a high grade polyurethane foam. There is a chance of cross contamination on our manufacturing equipment, therefore we would not recommend this product for those with latex allergies. Does it have a microphone for recording? No, it is a non-electronic device. You can insert a lavalier microphone but with the sound waves being trapped in the mask, it can be hard to get clean levels for singing or loud talking. It can act as a sound isolation shield to prevent sound bouncing back to the microphone! You can feed a standard earbud microphone into the cavity for quiet conversations or gaming by putting the microphone between the red and black layer!